Hot mess is a pool Lounge bar, and also a Club on Monday nights. It is an excellent choice of venue to chill at during the hot summer days in Belgrade. Hot mess has a small pool and also sunbeds. It does not have an entry fee, and prices are the same as what you will find in all places around the city. They also offer a food menu, till the evening hours. Good looking girls are very often seen here. Hot Mess is famous for its RNB Events that take place on Monday’s nights, and are packed to capacity. 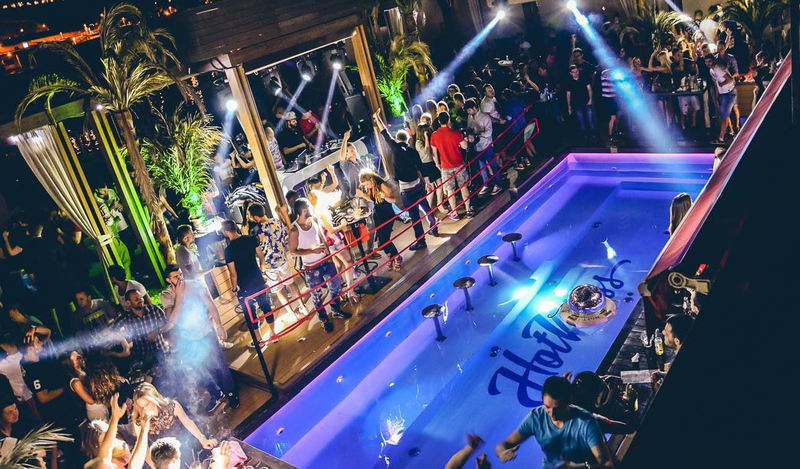 Reservations for tables and entry into this Belgrade club are necessary. Located on river, Hot Mess gives you feeling that you are in the one of the most luxurious and expensive venues in the world. Is isn’t important whether you are going for a swim on a hot summer day, or you will be chilling and hanging out during hot summer nights – Hot Mess offers everything, from a swimming pool in its center of the venue to the comfortable booths and high-seats, where you can enjoy while drinking amazing cocktails or wine with your crew. For sure you will have a incredible fun over here. Hot Mess is often visited by celebrities, and famous DJs perform over there. It is a perfect place to chill out, socialize and have incredible night experience. It is one of the most attractive places in Belgrade, and visiting it will definitely not leave you indifferent.